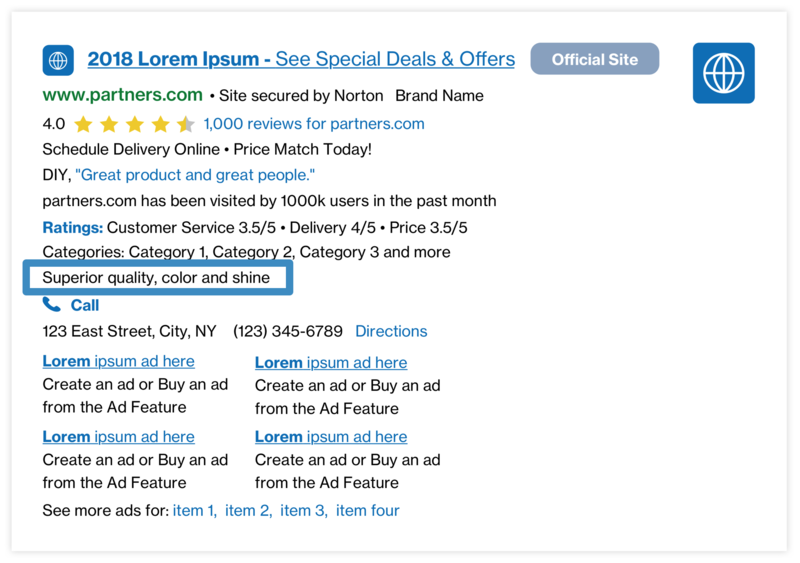 The 4th Line Annotation is a second description line that contains the best annotation for the ad, based on content from the advertiser's landing page and relevant to the user's search query. It provides relevant and engaging at-a-glance information, such as product details or venue information, from reputable third-party sources. Results: Some Partners have seen an estimated lift of +1.7% CTR and +2.1% RPM when combined with Callout Extensions and 4th Line Annotations. Results may vary.